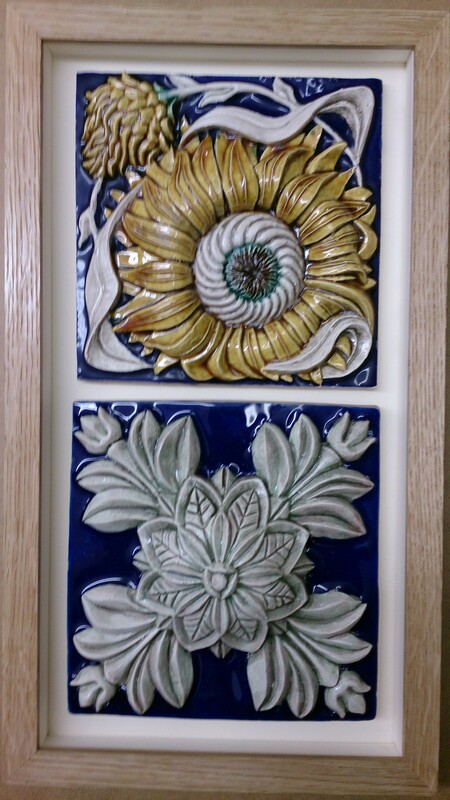 Two very ornate tiles. Truly decorative and with about 50mm protusion they would normally be a feature when used in a tiling application. Too good for that said the owners. We want them framed. So here they are….. This entry was posted in ART, Picture Framing and tagged Tiles. Bookmark the permalink.